With over 370 independent franchise operators across 4 countries, the Rocky Mountain Chocolate Factory is truly a massive success in the confectionery industry. Its founder and still CEO, Frank Cail, didn’t have the idea that the decision he made more than 3 decades ago would turn into what it is today. 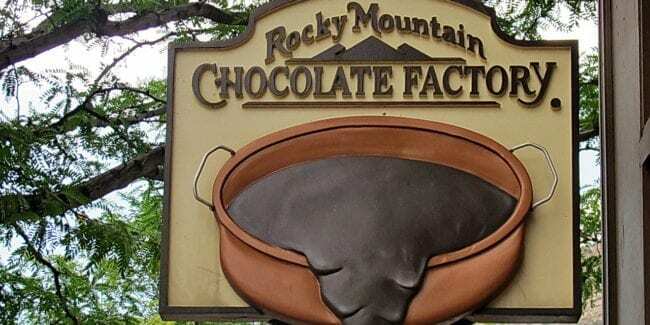 Rocky Mountain Chocolate Factory, the largest candy store chain in the United States, was born in a humble manger in Durango, Colorado, in the early 1980s. Metaphorically speaking, of course. From a just tiny local shop, they now have a 53,000-square foot factory in Durango that produces more than 300 variations of confectionery items, with fleets of refrigerated trucks delivering it to hundreds of franchise locations throughout the world. 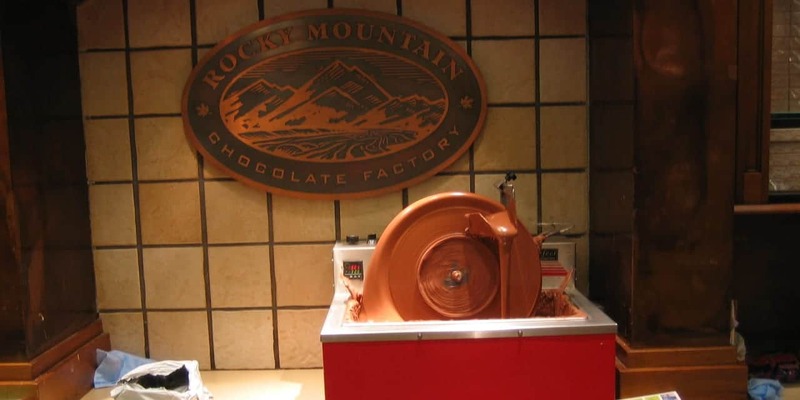 The Rocky Mountain Chocolate Factory employs a very unique marketing strategy wherein individual stores prepare the treats, using the company’s time-honored equipment and techniques, in full view of the buyers. This candy making demonstrations make for a total customer experience. Frank Crail was a successful, 40-something, tech company founder from Newport Beach, California, who yearned for a simpler life in a small town where he and his wife could start a family. The Crails landed in Denver and the intrepid entrepreneur started poking around to determine what the tiny town needed, hoping to discover a new career path. Uninspired by the vision of operating a car wash, the chocolate shop won by default. From its humble beginnings in a small storefront on Main Street, Rocky Mountain Chocolate Factory has grown into “an international franchisor, confectionery manufacturer, and retail operator in the United States, Canada, and the United Arab Emirates.” A 53,000 square foot factory is now manufacturing home to an extensive line of approximately 300 premium chocolate candies and other confectionery products. Preparing treats in front of customers at RMCF. 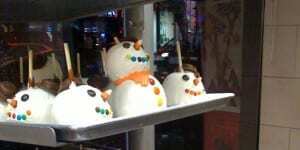 Pass by a store and be seduced by the aromas of caramel or fudge wafting outside. Once inside, you’ll find them bubbling away in a traditional, hand-forged copper kettle on a gas-fired stove. 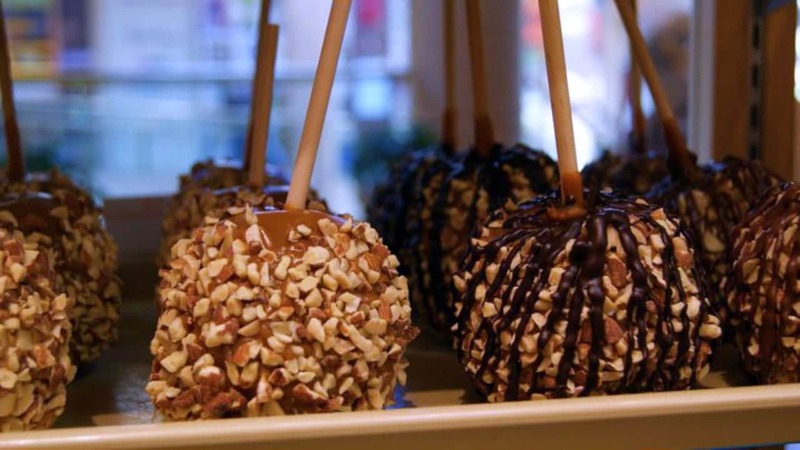 Watch the cook spin a skewered apple in the hot caramel and witness fudge being made. There is time for candy maker Q&A while the confections cool on a massive, 500-pound, granite marble slab. Crail’s early years were not smooth. Encouraged by Durango’s initial success, stores followed in Breckenridge, Aspen, and Colorado Springs. In 1985, Crail took the company public where it is now found on the NASDAQ exchange under the symbol RMCF. Over the next two decades, Rocky Mountain opened franchises and company-owned stores all over the U.S. and in Canada. But money was always tight and management understaffed. Crail had plenty of leases for storefronts but could not find franchisees to fill them. He ended up managing more than 52 shops himself. When Whitman’s Candies offered to buy Rocky Mountain for $16 million in 1999, Crail was sorely tempted but refused, using that as the catalyst to turn his company around. Crail’s entrepreneurial adventures did not slow. 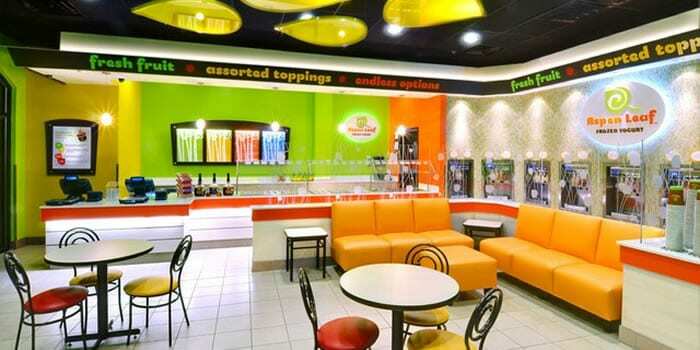 Founded in 2010, Aspen Leaf Yogurt, Inc., a wholly owned subsidiary of Rocky Mountain Chocolate Factory, currently boasts over three-dozen U.S. locations for U-Swirl, a self-serve yogurt franchise. Don’t ever give up. If you really believe in your vision, do not give it up for anybody…there are a lot of different reasons why people try to discourage you. If you are sure you have something, just don’t give up. And just as equally important, surround yourself with the best people you possibly can. In 2013, Rocky Mountain Chocolate Factory partnered with Kellogg’s to create a cereal that combined their chocolate pieces with the cereal company’s corn flakes. After a brief and very positive test run, Kellogg’s expanded the product nationwide in 2014. Least known by many, the company attributes their success not only to their sweet offerings, but also to their exceptional emphasis on quality, and on giving back to the community. 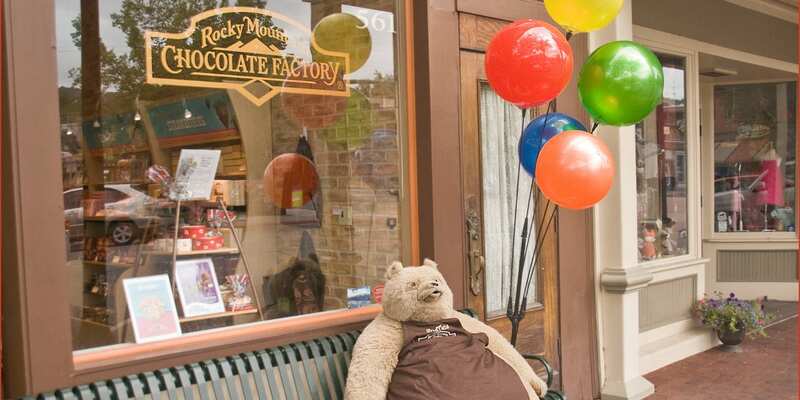 The Rocky Mountain Chocolate Factory spreads the happiness by giving chocolate donations to philanthropic organizations and community events in Colorado, such as the Sweets for Service, Spinal Research Foundation, Boys and Girls Club of La Plata County, Music in the Mountains, Durango Arts Center Autumn Arts Festival, and many more. Using only the finest recipes created and perfected by the master confectioner himself, the Rocky Mountain Chocolate Factory produces a wide selection of divine-tasting treats such as nut clusters, caramel-covered apples, butter creams, fudges, chocolate bars , nonnative-tasting truffles and molded chocolates . Some best-sellers sweet-tooths won’t probably see elsewhere are the company’s signature creation, called the Bear™, which is a paw-sized mixture of chewy caramel, roasted nuts and a generous coating of rich chocolate; and the Bucket™, which is a king-sized peanut buttercup that is truly mouthwatering. Both are available in this 33oz gift tower . 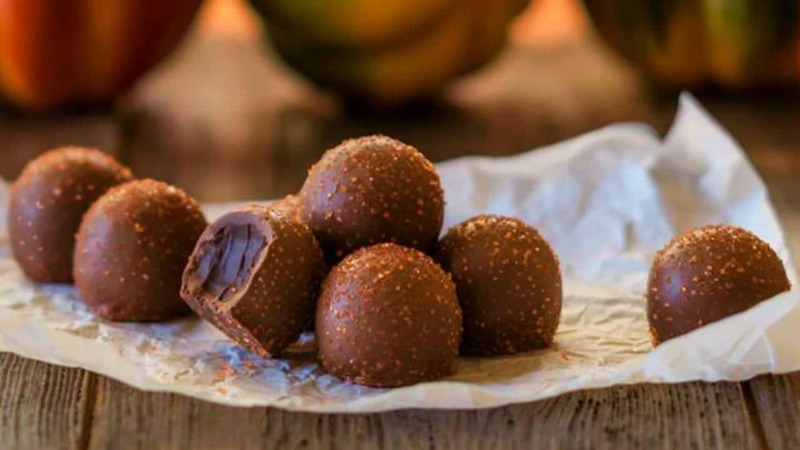 The company also created a new line of sugar-free treats , which targets people with strict dietary requirements but still want to satisfy their palate. 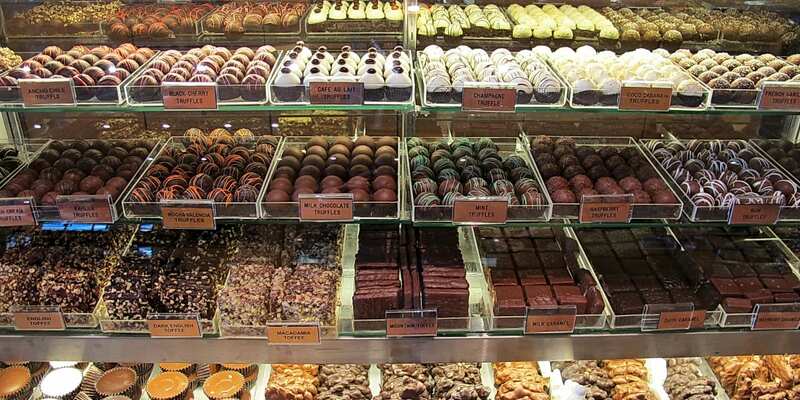 The Rocky Mountain Chocolate Factory also markets sweets in fancy packages , decorative bags and baskets, complete with thoughtful gift cards . These items are great for special occasions, and company giveaways.